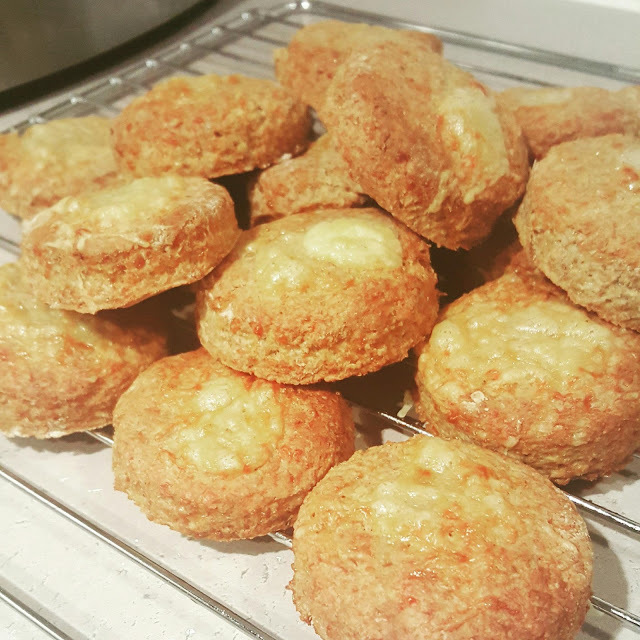 Well, the other evening I had one of those cravings and as I didn't have anything in to satisfy the crave , I decided to rustle up some wholemeal chili cheese scone biscuits. 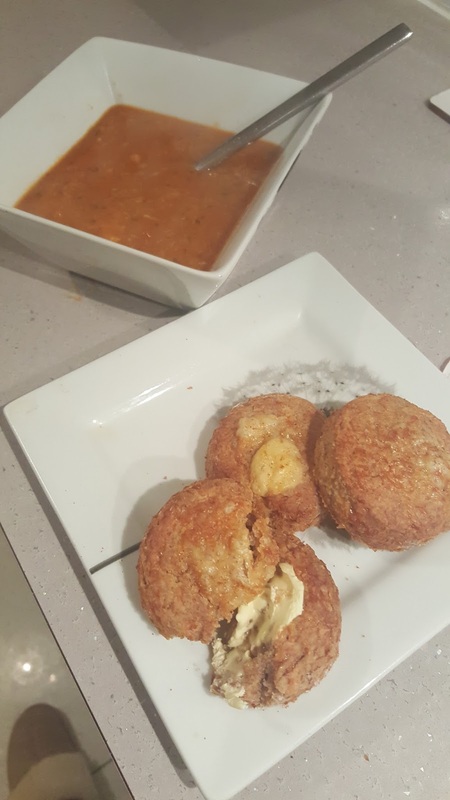 Mmmm, they were so delicious, I wanted to share the recipe here with you. 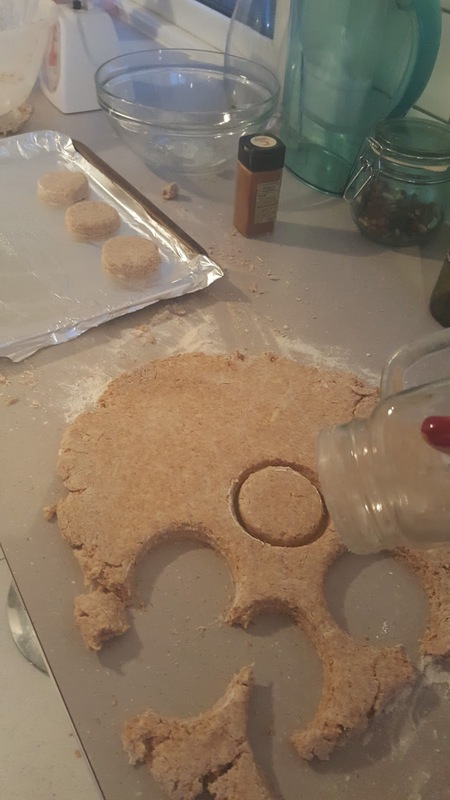 One of the other funny things is that I didn't quite have the correct baking equipment...No rolling pin or biscuit cutters - but I didn't let that stop me, oh no! A empty wine bottle as a rolling pin and a mason cup for the cutter did the trick!! (hehehe!). Merlot anyone?! 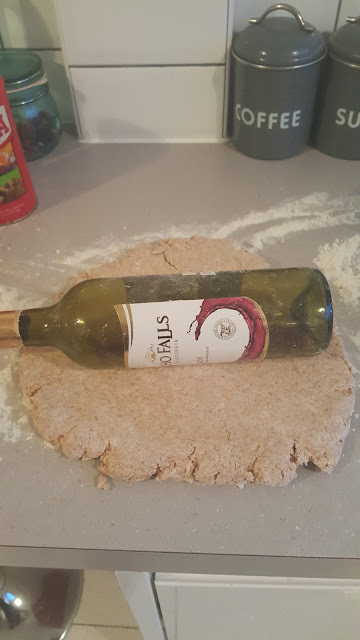 My empty wine bottle was the perfect substitute for a rolling pin! Perfect for cutting out the dough, an upside down mason jar did the trick! Put the flour, baking powder, salt and cayenne pepper in a bowl. Stir in most of the cheese and sufficient milk to obtain a soft, easy-to-handle dough. Knead gently, then roll out on a lightly floured surface to a thickness of 2.5 cm / 1 in. Stamp out in rounds and place on a lightly greased baking tray. Bake in the preheated oven for about 20 minutes until golden. Cool on a wire tray and sprinkle with Cayenne pepper. 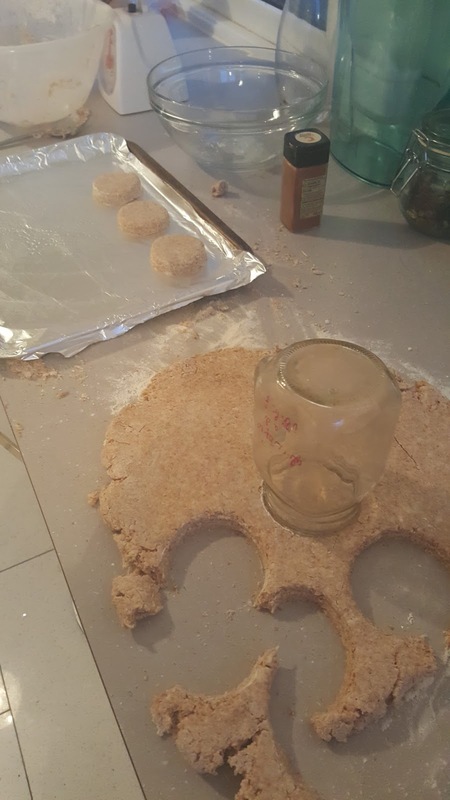 Make sure to flour your jar or cutter first to stop the dough from sticking inside. 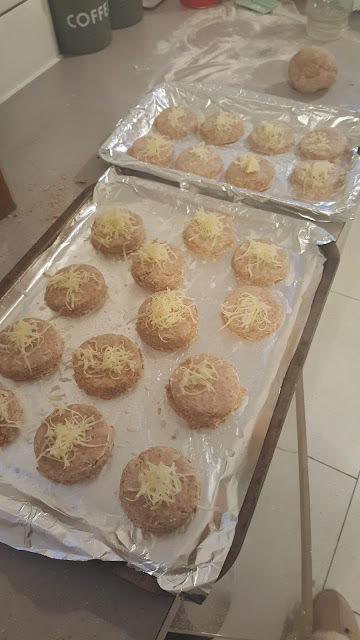 The nuggets of melted cheese on top when baked is the yummiest thing! I ate mine with a warming spicy chicken soup, perfect for these cold evenings!